Counting our camper-night in the state park's over-flow parking lot, we stayed at Garner four nights this trip. The morning of our last day, we were determined to play in the Frio Rio ONE MORE TIME, even if the high for the day was only in the UPPER-70s. While the temperature warmed, that morning we set out to see what Crystal Cave was all about. The trail map showed it was only about a HALF-MILE in, but again we left the jog stroller behind to make it up the rocky terrain. 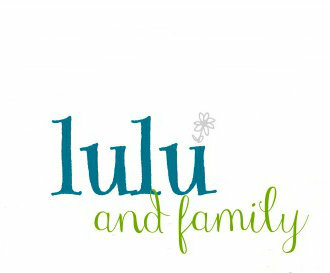 Thankfully, we had no "party-pooper" this time (and I was ready with diapers! 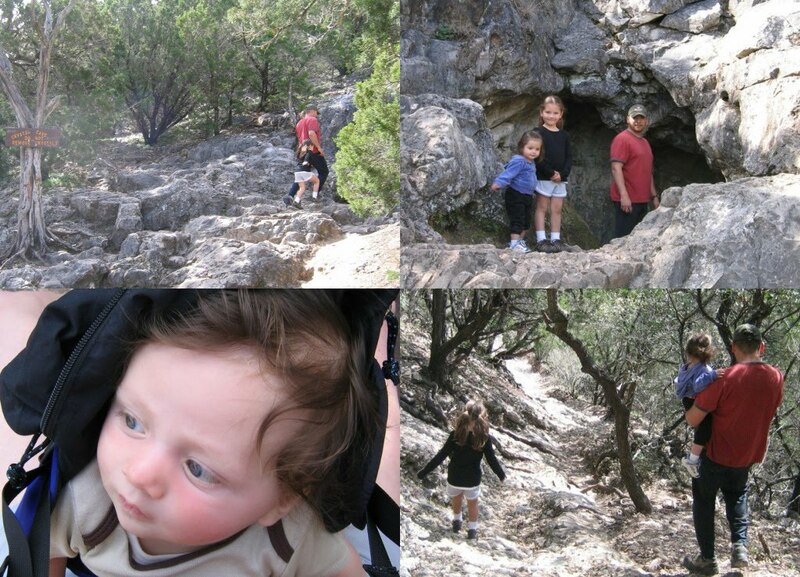 ), but we were getting WIPED climbing the rocks with the weight of the two little ones. We set a time to turn back if we didn't reach the cave by then. Last minute, we saw the sign on a tree: "CRYSTAL CAVE DO NOT REMOVE CRYSTALS." It was a fun find. You have to enter the pitch-dark cave with a flash-light to see the sparkling rocks that surround you. the sign::entering the cave::we all took a peek, except AD::climbing back down the trail felt so much better than climbing up! After hiking, the girls soaked up the fun in the water, but it took the last out of them before they crashed in the truck in route to abuela's home. Visiting "home" did Espi good. This is where he grew up. His long time buddies live here. Of course, he loves seeing his family and eating his mom's good cooking. But, as he said, he got to enjoy his time here more than usually because he wasn't working on day-consuming projects for his mom, like he has for many years now--helping remodel her house for sale and then remodelling her new home. 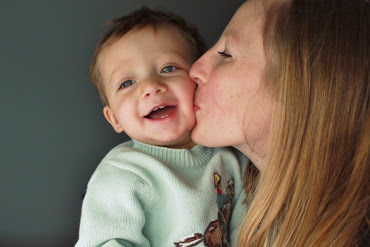 There will be more projects in the future, and he is happy to do this for his mom. However, having a slower vacation like this is so refreshing. 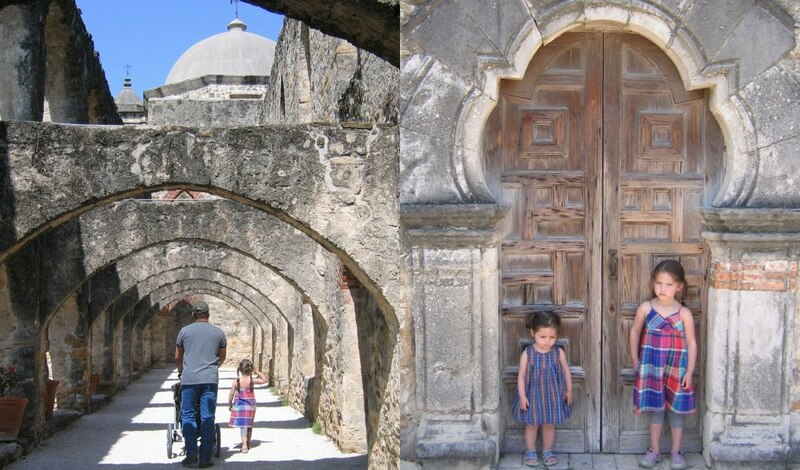 Before children, Espi and I visited most of the San Antonio Missions; this trip we saw several of them again. I could spend much more than several hours here taking in their history and structures, but with the kids, we managed to walk through quite a bit, considering. Aren't they beautiful!? 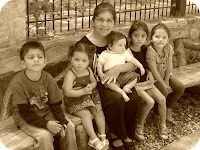 H and A's highlight was simply playing at Abuela's with their cousins. They played so hard, morning til night outdoors as much as we would let them! Baths every night were a must! 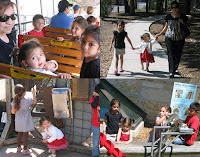 Brackenridge Park, San Antonio is a favorite of mine. Each time we visit down here, I hope to visit the zoo, the Japanese Tea Gardens, the Chinese Sunken Gardens. Just simply driving through and seeing all the old trees, the park statues, the waterways, and the open space makes me happy. The park is HUGE. 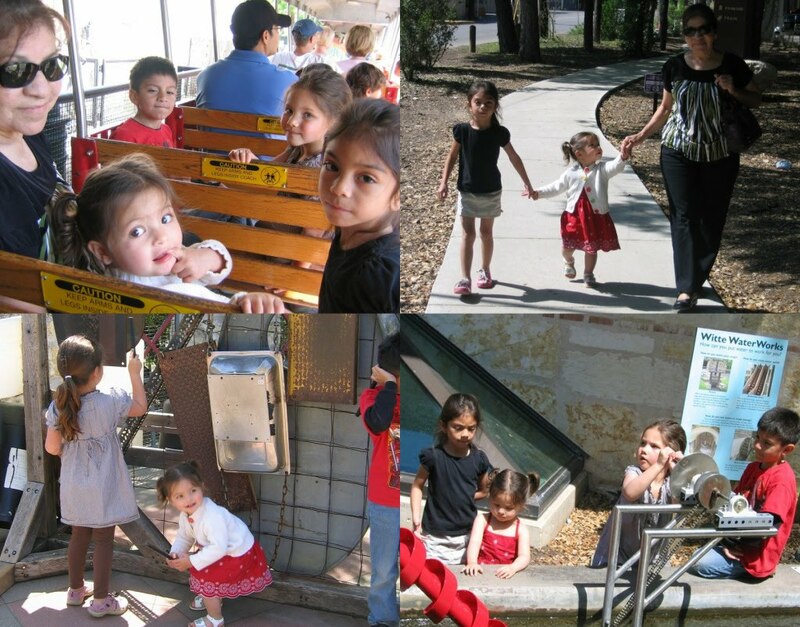 This trip we took our children, Abuela, and two cousins to the Witte Museum by way of the park train. Our evenings in Texas usually mean grilling out or simply lighting a campfire with friends and enjoying their company and the cooler temperatures. Our last night here, cousins joined us for BBQing at two of Espi's dearest friends' (husband and wife) home. It had already been a big day of playing hard outside for the kids. Our kids and cousins were having so much fun, but they were all EXHAUSTED. 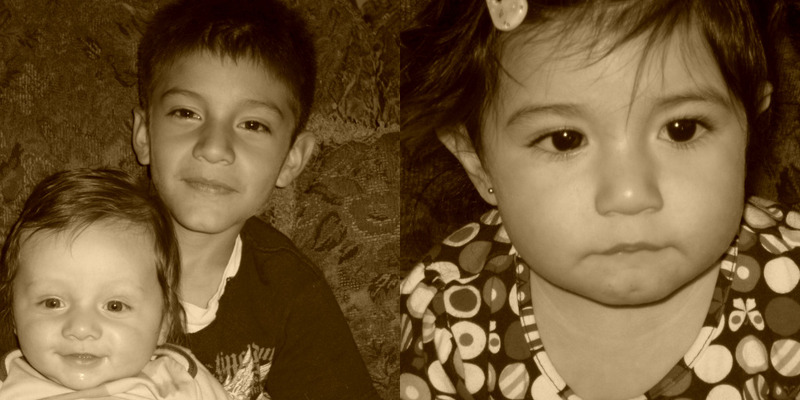 When the cousins had to go home they were crying so hard as they said goodbye "until next time." Soon after that, I was planning to leave early because the girls looked like they could fall asleep on the spot! Then our friend offered to have the girls take a bath at their place to cool down. They needed a bath anyway! and it did wonders for them! They live in a simple home FILLED with salvaged finds. I couldn't resist taking this shot of the girls in their claw foot tub. They looked so cute! So our time with Texas friends and family came to a close for now. And the morning would call us on a 10 hour drive to the second largest canyon in the U.S.